30 ml - Net wt. 1.1 oz. 0.5% Retinol & 1% Retinol Complex Night Gel-Cream combines 0.5 & or 1% pure Retinol and with Allosteris, a natural ingredient complex inspired by allosteric science in the pharmaceutical field to enhance optimal efficacy and tolerance to retinol. Avoid contact with eyes. If eye contact occurs, rinse thoroughly with water. Do not apply retinol products if you are pregnant, lactating, taking prescription acne medication, using any topical acne drug, or if undergoing a skin peeling regimen. If a sensation of heat, stinging, or slight redness occurs, discontinue product for a few days. If heating, stinging or slight redness occurs when product is re-introduced, discontinue use. If stinging or redness persists, consult a doctor. What you need to know before using a Retinol product to treat photoaging. 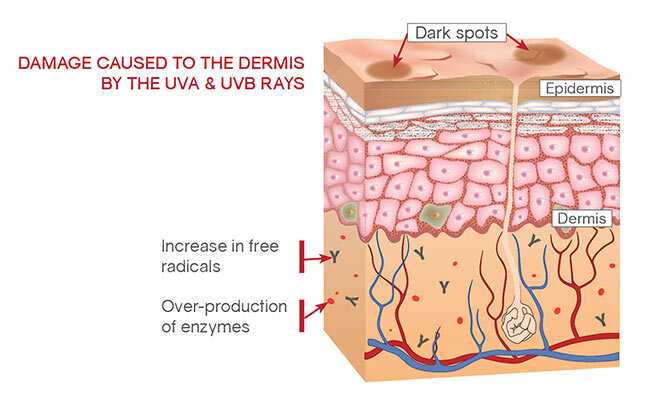 Photoaging is the process by which skin is damaged from long-term exposure to UVA and UVB rays. It produces wrinkles, loss of elasticity and hyperpigmentation. Topical retinoids are effective in treating clinical signs of photoaging.